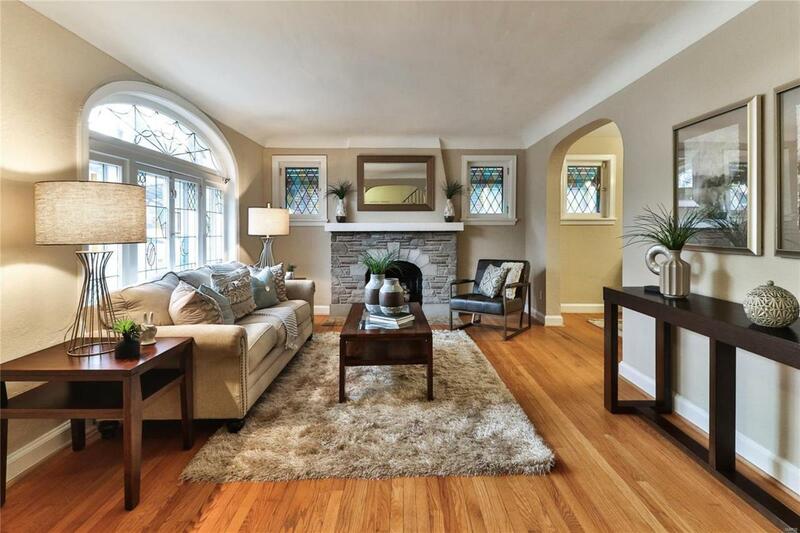 Traditional brick Tudor in University City is bursting with original charm and modern updates. 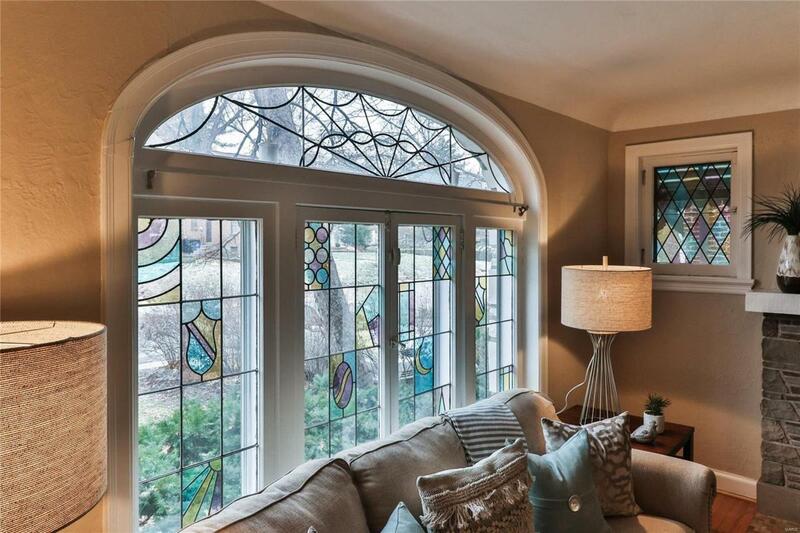 Handsome hardwood floors take you into the Living Room with magnificent stained glass windows and gas fireplace. 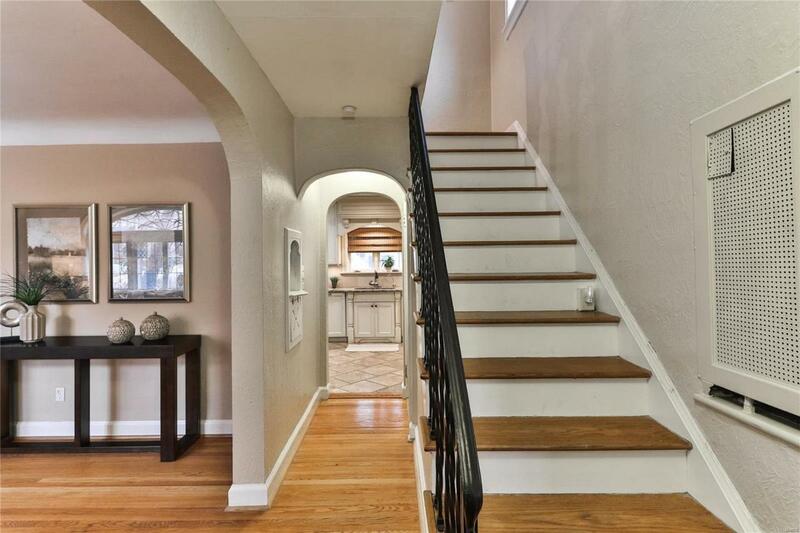 Travel under charming archways into the separate Dining Room that opens by french doors into spacious, screened-in porch. The updated, gourmet Kitchen boasts sparkling granite countertops, custom cabinets, and stainless appliances - perfect for hosting guests! Main floor complete with an embellished half bath. Upstairs, find the Master Suite with custom closet, 2 additional bedrooms, and full bath. Partially finished Lower Level with half bath and additional gas fireplace is perfect for more living space, home office, and storage. Around back, youll find the fenced in backyard with mature trees and patio. Enjoy the many conveniences this home offers including a laundry shoot, 2 car garage, and Vivint security system. 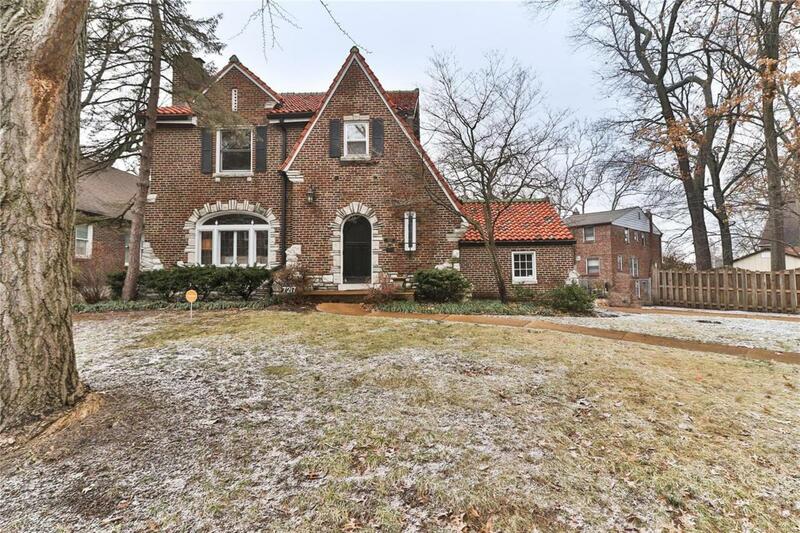 Just minutes from the Loop, Clayton, Forest Park, and Wash U.